Video Interview: Cate Blanchett, Rooney Mara and Todd Haynes on "Carol"
Director Todd Haynes proved his knack for capturing high gloss sumptuous period pieces with an underbelly of taboo love in 2002's "Far From Heaven." 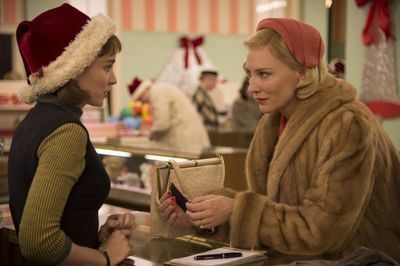 In his new film, "Carol," he brings to the screen Patricia Highsmith's novel "The Price of Salt" set in 1952 in New York City that portrays a complicated love affair between a wealthy socialite Carol and a young aspiring photographer, Therese. Australian actress Cate Blanchett gives another flawless performance as the beautiful Carol and Rooney Mara tied for Best Actress award at this year's Cannes Film Festival for her performance as Therese. Australian film reporter Katherine Tulich sat down with Blanchett, Mara and director Todd Haynes for this video interview.